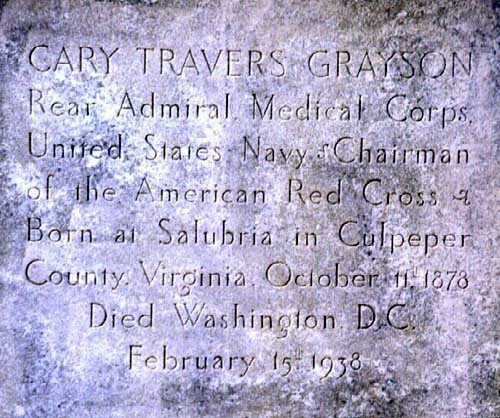 Cary Travers Grayson (11 October 1878-15 February 1938) was a surgeon in the United States Navy who served a variety of roles from personal aide to President Woodrow Wilson, to chairman of the American Red Cross. Grayson was born in Culpeper, Virginia. After completing his medical studies, he was appointed Acting Assistant Surgeon, USN, 14 July 1903. A variety of posts led Grayson to Washington, where on 12 December 1912 he was assigned to the Bureau of Medicine and Surgery with additional duty as Aide to the White House. 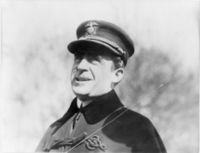 Commissioned Rear Admiral 29 August 1916, he served as personal physician and aide to President Woodrow Wilson during World War I. Before transferring to the Retired List 20 December 1928, Admiral Grayson received the Navy Cross for exceptionally meritorious service as aide and physician to President Wilson. He was also made Commander of the National Order of the Legion of Honor by the French government. 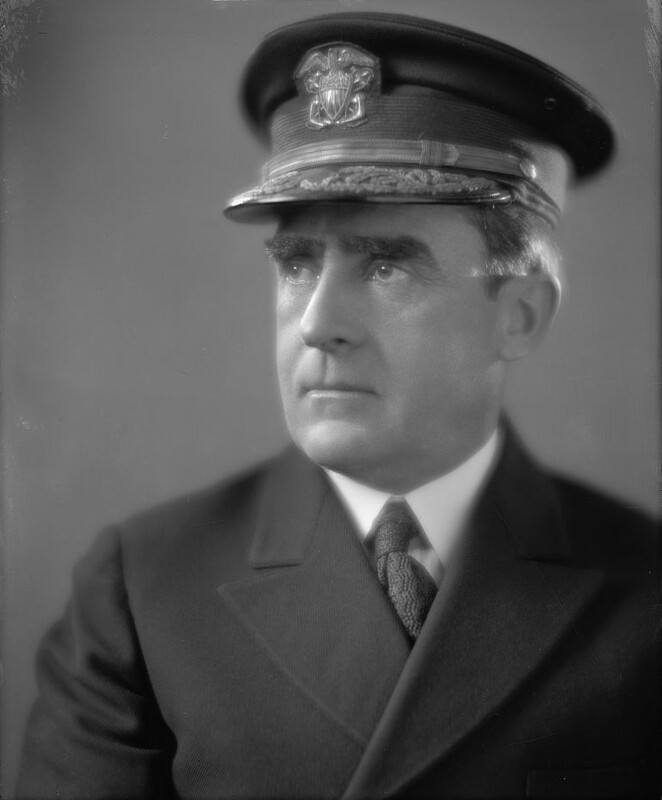 Admiral Grayson served as chairman of the American Red Cross from 1935 until his death 15 February 1938. The USS Grayson (DD-435), a Gleaves-class destroyer was named in his honor. Born at Salubria, Virginia, on October 11, 1878, he served as Medical Officer for Presidents Theodore Roosevelt, William Howard Taft and Woodrow Wilson. Following his military service, he was Chairman of the American Red Cross for a number of years. 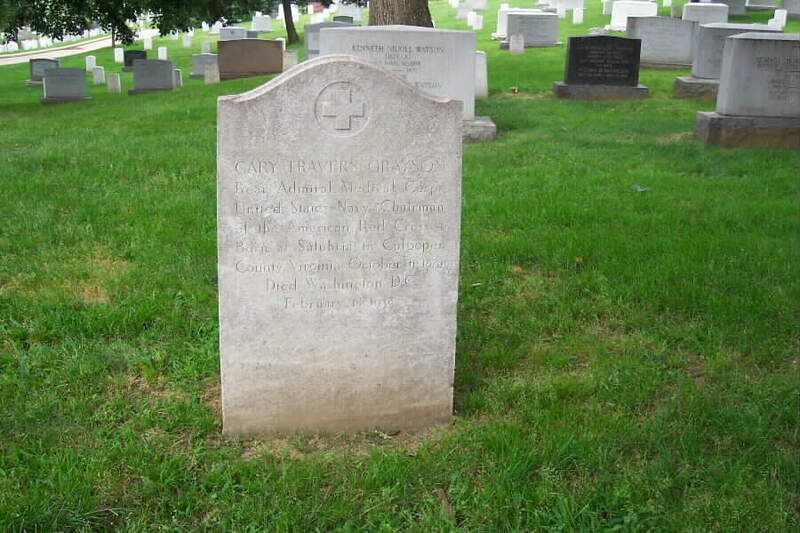 He died on February 15, 1938 in Washington, D.C. and was buried in Section 24 of Arlington National Cemetery. 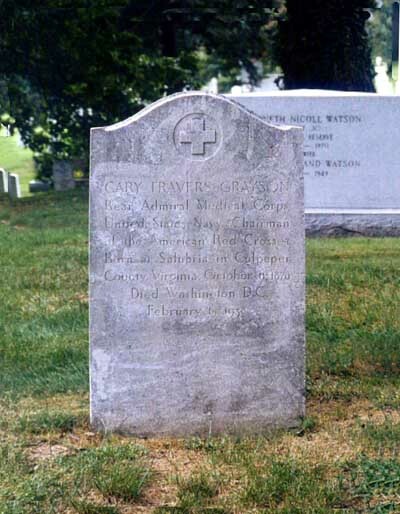 Cary Grayson, an American born in Virginia in 1878, had an outstanding career as a surgeon in the navy before becoming head of the League of Red Cross Societies in 1935 as war clouds loomed over Europe and Asia. His tenure as head of the League, which ended with his death after a brief illness in 1938, coincided with an eventful phase of the Red Cross, not only in the United States but also in the world. For many years Grayson, who retired from the navy as an admiral, was an intimate of the White House -- the medical attendant and friend of presidents Theodore Rooseveld, Howard Taft and Woodrow Wilson. "His fine personality and shrewd foresight qualified him to provide the League with invaluable guidance during a particularly troubled period in international affairs," an obituary in the League's Bulletin said. The founders chose the name Grayson Foundation to honor one of the leading figures of recent years, and in so doing also provided a beneficial tone to the organization itself. Admiral Cary Grayson at one stage of his career had been best known as the personal physician of President Woodrow Wilson. In his final years, he had also been chairman of the American Red Cross and president of an organization called the Gorgas Foundation. Through the latter, he had an involvement in research relative to the horse, the animal which provided him a great deal of pleasure. Director of the Gorgas Foundation was Dr. Herbert Clark, who at Admiral Grayson's behest had advised the American Thoroughbred Breeders Association on its embryonic ideas about establishing a research center to investigate diseases of horses. Grayson had died in 1938, two years before the formal incorporation, but he had been one of the first to support equine research as well as owner of a successful breeding and racing operation at Blue Ridge Farm in Virginia. Admiral Grayson's associate, Dr. Clark, was named to the first executive committee of the new Foundation.